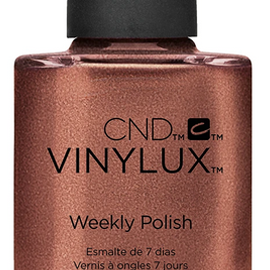 Metallic bronze with a smooth finish - not a foil. 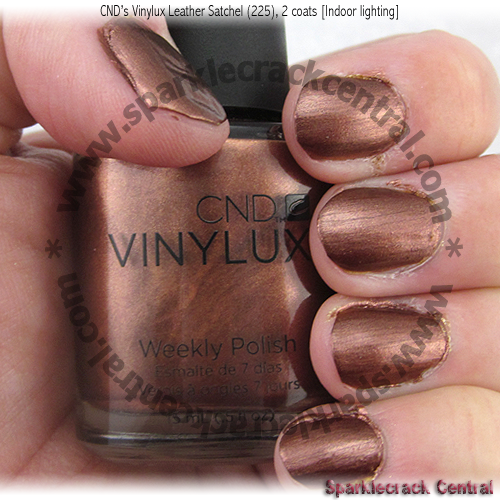 (The Vinylux lineup doesn’t seem to have quite as many metallic polishes as they do foils or some other texture. Or maybe that’s just me having A Decided Preference.) 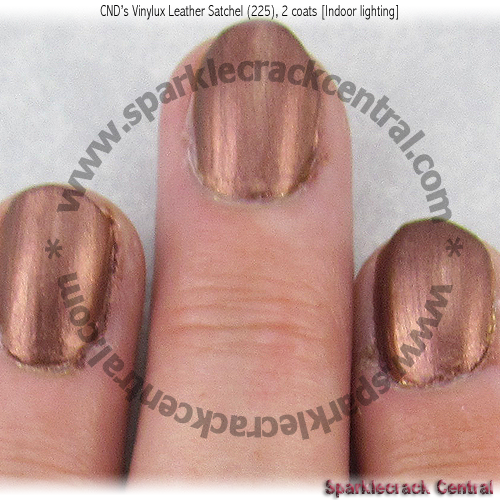 At any rate, I love this color and texture! 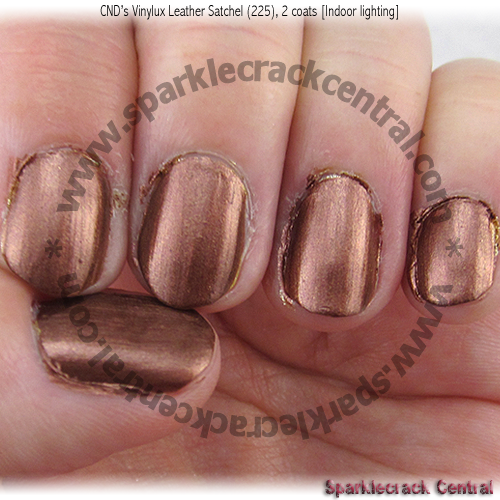 It looks great by itself, or as a background for dark brown or black stamping.